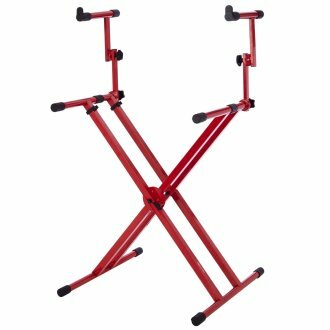 The Gator Frameworks 2-Tier X-Style Keyboard Stand is constructed with a double brace design balances out the weight of your instrument while bolstering the overall strength, creating a secure and sturdy stand even for the most active player. 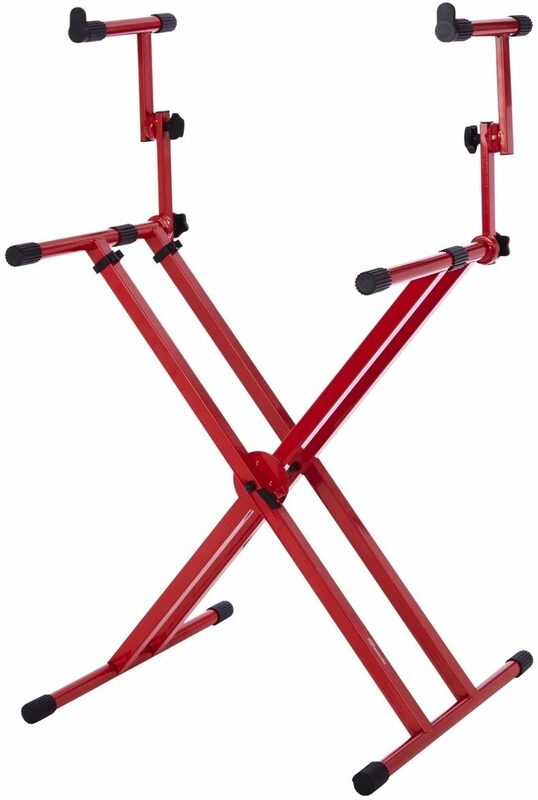 The fully collapsible design folds completely flat making it easy to setup and breakdown, requiring minimal space for storage or transport. The legs securely lock in place to avoid pinched fingers.